Likes: All with strawberry stuffs, anime, manga, novel, video games and her brother, sister and friends. Personality: Yoru is a 100% otaku. She was one of the youngest triplets among the Trans-loid. Being the youngest she loves to hog around her big brother, Yusune Sano and her big sister, Yusune Asa. She was also said to be over-pampered on everything. Her studies weren't that good which she could fail almost every subject. She was a good video gamer. Dislike: Spicy food, people who bullied her younger sister, Yoru and elder brother, Sano Personality: Asa's a typical nerd, she studies and studies all day and score a very good marks in her examination. But she was an expert karate fighter and she also loves her sister, brother and friends more than anything. 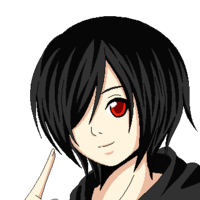 Personality: Sano was Asa and Yoru's elder triplet brother. He was elder than them by 2 years were cause his sisters were unable to born on the date they were suppose to born except Sano, they were born after 2 years. But Sano was a pre-matured baby, he has a very weak body and bad health. He has Anemia, Astraphobia (fear of thunder) and Phonophobia (fear of loud noises). He had typical sister complex too. Likes: His friends, play around his bomb, eat his mangosteen and hog around with his tag team, Makoto Irie. Dislikes: Not much things... Personality: A Bishota (was bombed), which usually hogs around Makoto Irie, his tag buddy. He looks cold from the outside but actually very shy and innocent in the inside. He was a typical Tsundere?